A poetic band from the Western Carpathians mixes elements of folk, alternative rock and electronic music. It was founded in spring 2010 based on the eponymous studio project. Listolet is formed by the composer and director Tomáš Háček (keyboards, accordion), Kuba Navrátil (mandolin, saxophone), Martin Susedík (guitar), Marek Vráblík (bass), Vojta Pajer (trumpet) and Lukáš Čech (drums). 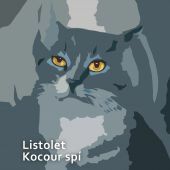 Listolet first drew attention to themselves in the spring of 2012 by participating on the cover version album by Mňága a Žďorp band. That same year they have released eponymous debut album at Indies Scope. 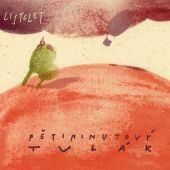 In 2013, Listolet broke into domestic and foreign radios and in television (MTV, ČT) with their single Lullaby. 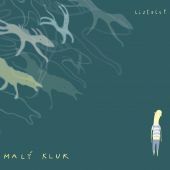 In the autumn of 2013 the second album “Malý kluk“ is released also by Indies Scope; Listolet moves deeper into the waters known as ‘folktronics’. Listolet is known for its excesses beyond their own pond. In the past, they cooperated with Beata Bocek, Jitka Šuranská, Lucie Redlová or Jakub Čermák. 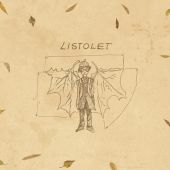 Although the home base of Listolet is currently Brno, its members are proud of their roots in the hills east of the Morava River where they feel at home and where they draw their inspiration from. Listolet members perform or have performed also with bands HUSO, Fungalvaz, Mezivlkem, Láska, Krutý omyl, Prázdné obaly, Cirkus Cermaque, Beata Bocek, Pixies revival, Knitterarmeshochzeitskleid, Zvukem, Gronkjor, Eč, Two Basses and Černý čaj. Tomas Hacek (*1981, civic name Tomas Hubacek) is originally a film director. Music fans may remember his videos for Traband (Cernej pasazer), Tomas Kocko (Tanecnica, Ti kobersti synci) or Krystof (Dududuu) or his hour-long film Navrat do Cerveneho města (www.cervenemesto.cz) with a post-industrial poetics. For several years he has been active in the field of music – as a part of a crazy duo HUSO (www.huso.cz) or a multimedia project Journeys to Fungalvaz (www.fungalvaz.cz). He is author of music for many short films as well as one feature film and several computer games. A Brno group Biorchester chose him to be their producer (album Umakartove, Indies Scope 2012) thanks to his unique talent to combine electronic and acoustic music. Kuba Navratil (* 1981, Jakub Navratil) played saxophone in a Zlin pop-rock band Prazdne obaly and in Olomouc, in a brass-swing group HUP Orchestra. Now he is also the author in a folk duo Laska.